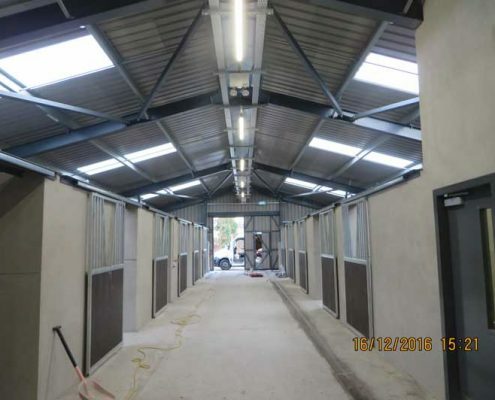 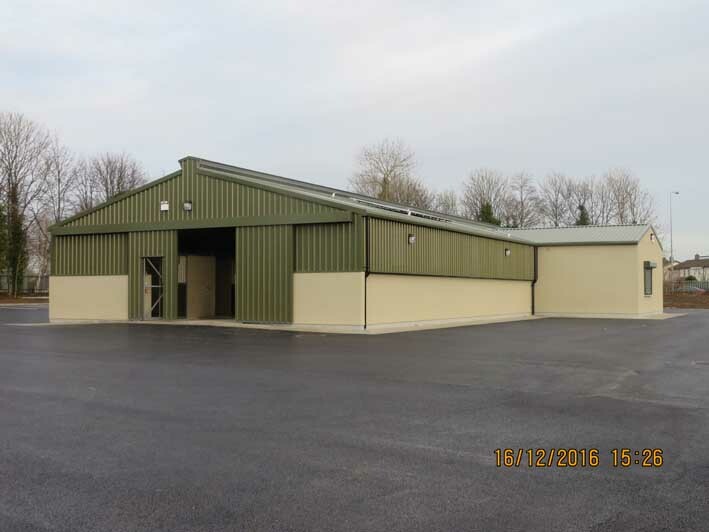 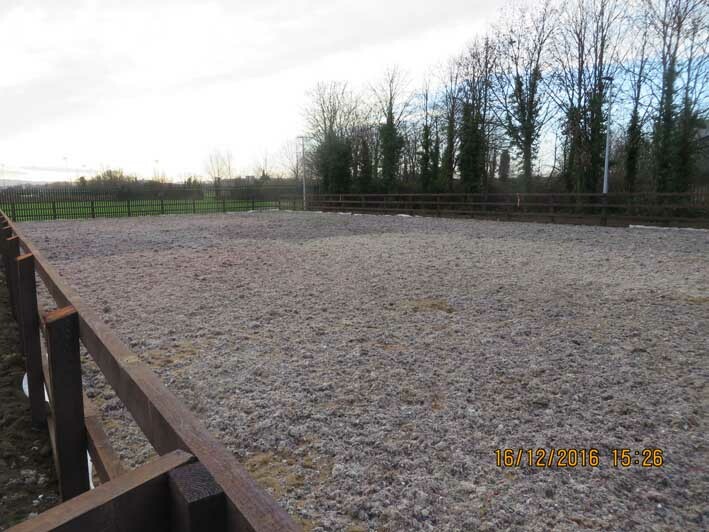 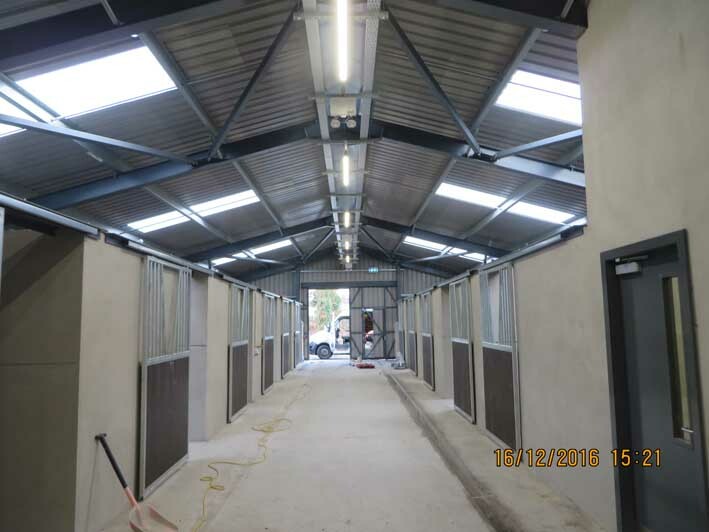 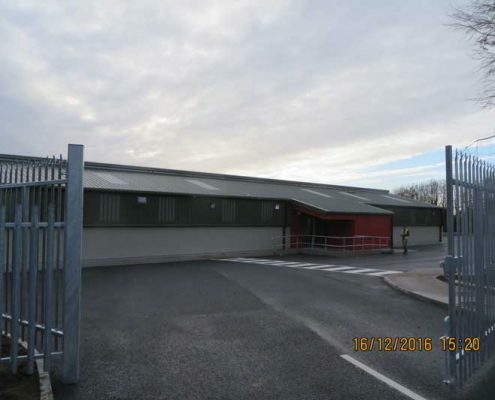 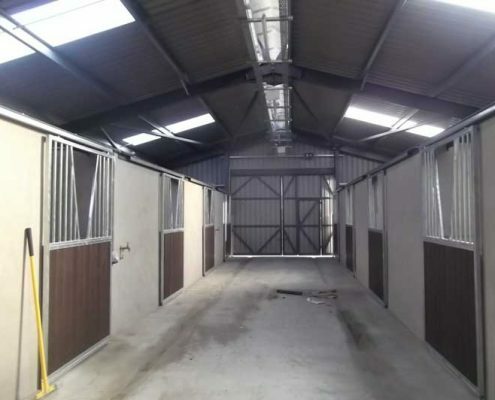 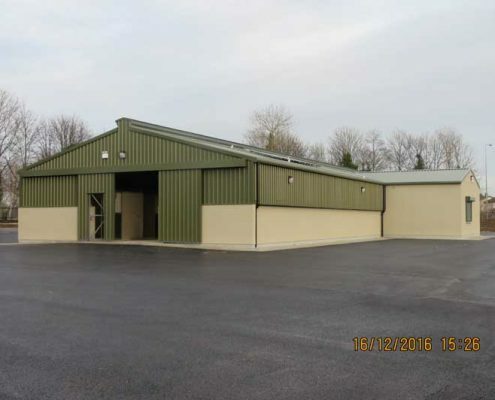 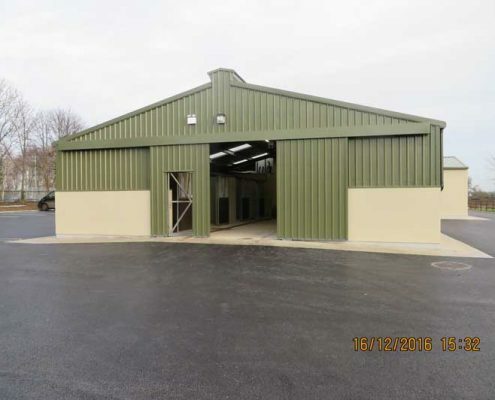 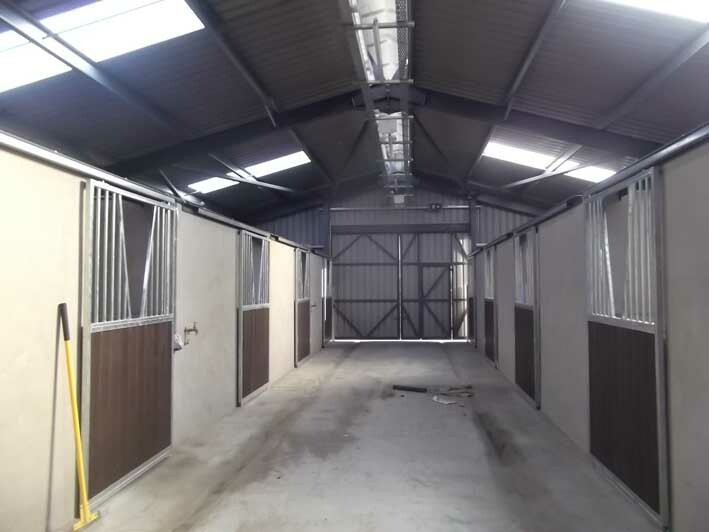 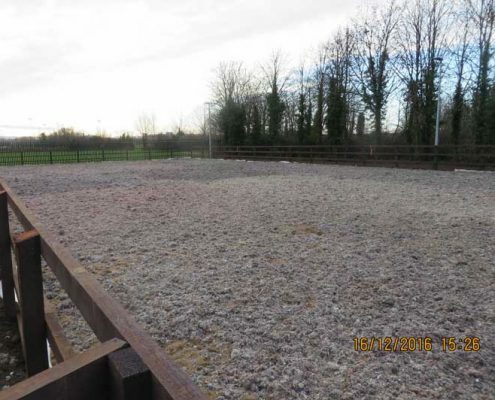 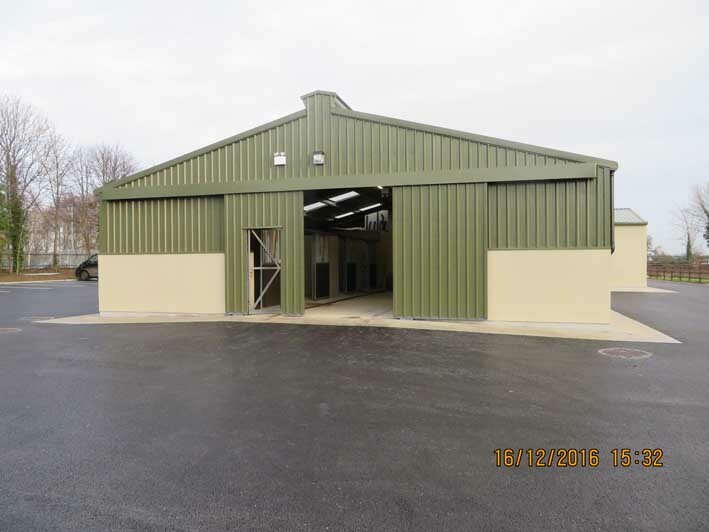 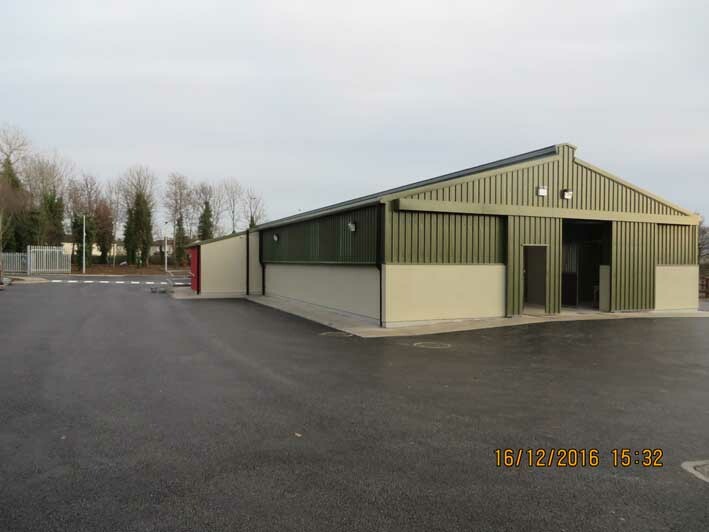 20 Equine Stalls, ancillary facilities Single storey steel portal framed structure, there is single skin profiled metal roof and wall sheeting, a Sand Arena, car parking, access and all necessary associated ancillary works and services on the site and adjacent areas. 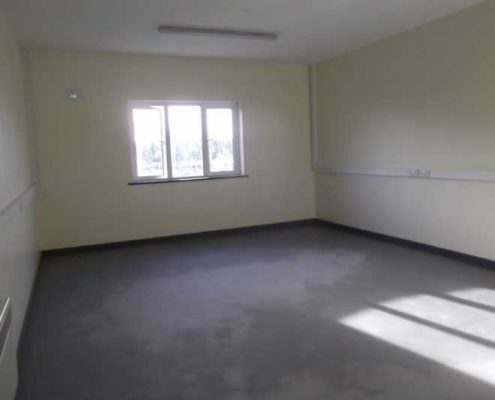 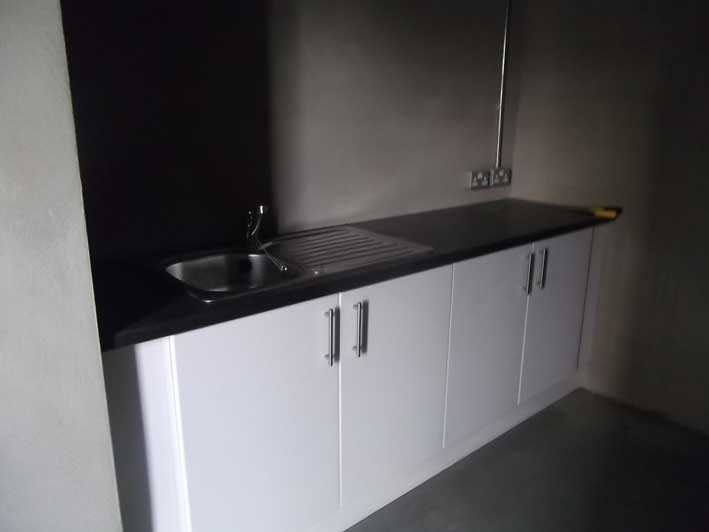 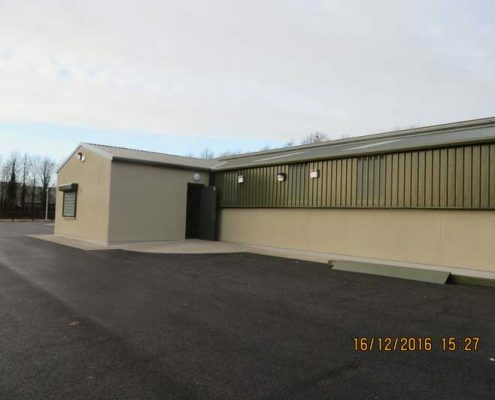 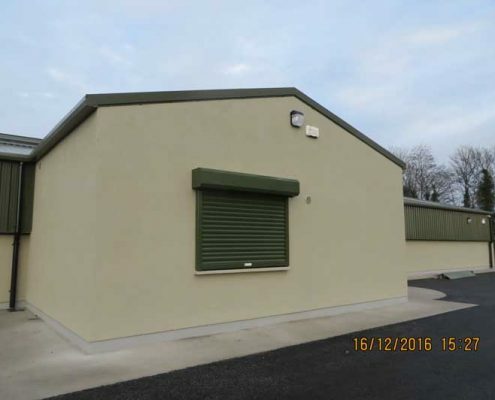 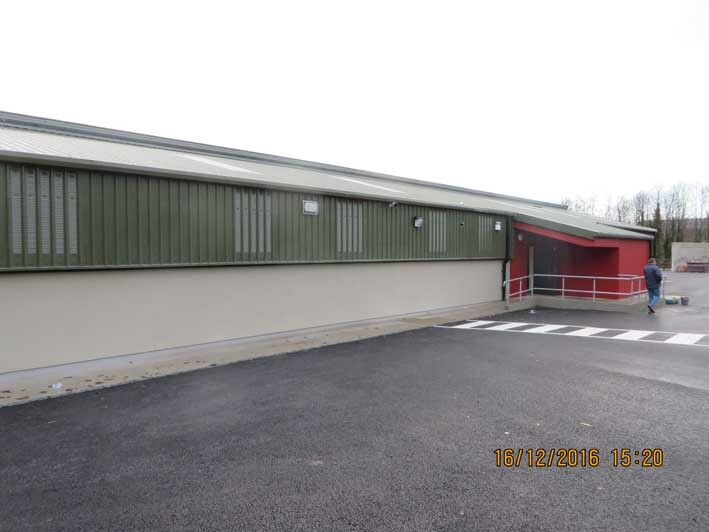 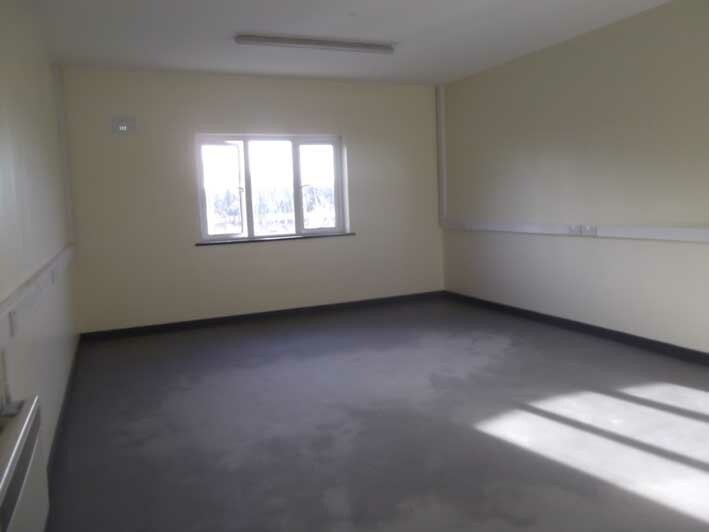 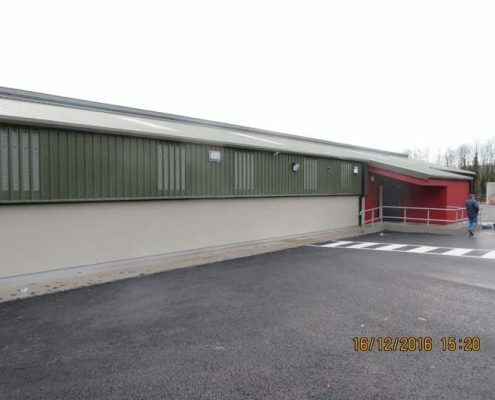 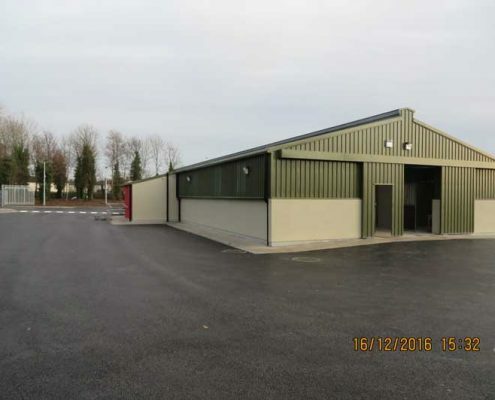 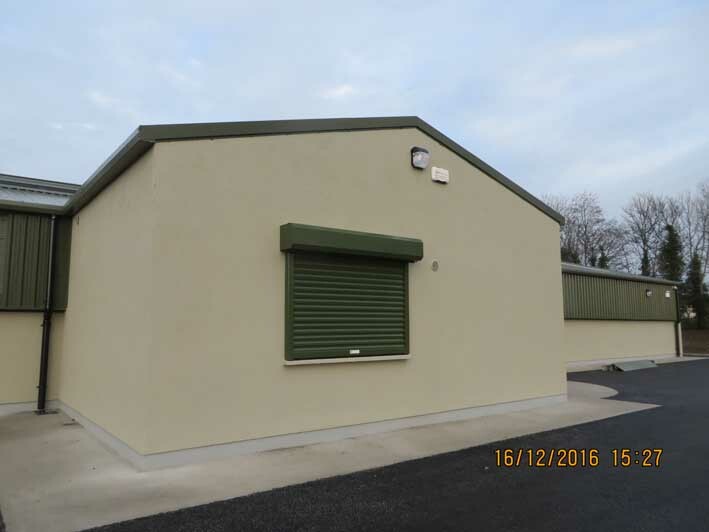 The building is single storey with rendered masonry walls and profiled metal roof sheeting. The access is from the lane leading to Ballyowen Meadows, off Fonthill Road North. 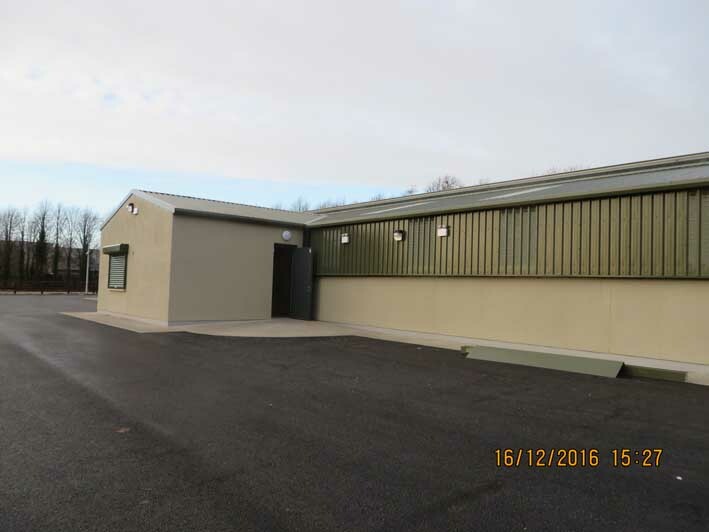 Civil & Structural Design, Periodic Visual Inspections & Certification.